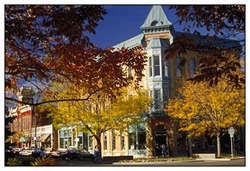 Retire to Fort Collins and explore its museums, art galleries, theatre and music. Along with its outdoor concerts, this community is an ideal place for performers and artists and those who love culture and local arts. The Old Town Historic District, with its fine bookstore, galleries and shops is also a great place to catch a concert, people watch, as well as a self-guided historic walking tour of the downtown. In addition, Fort Collins is home to the Anheuser-Busch, New Belgium Brewing Company, one of six breweries and has been touted to have the best beer in the country. Old Town Fort Collins offers a variety of restaurants, pubs, breweries, cafes, and shopping; it has more restaurants than any other city and has been promoted as one of the best placed to dine. 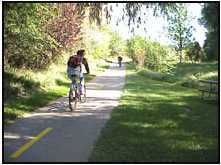 Fort Collins is an award-winning “Bicycle Friendly Town”, it supports multiple transportation options including 18 bus routes and has several trails for walking, jogging, in-line skating, biking, or a leisurely stroll. The trails are maintained year round and snow is removed from the trails during the winter months. Poudre Valley Health System, named a Top 100 Hospital forthe past five years. 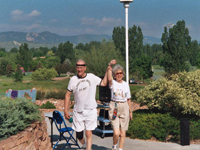 With three campuses and a multitude of specialists and caring staff, you’ll feel safe knowing the healthcare in Fort Collins is one of the best in the country.Why not join the local Senior Sports Club, it is an organization that meets the needs of retirees who are interested in sports and activities; meet other individuals who share the same interests and participate in a number of athletic and social events. You can also join The Front Range Forum, it is a learning-in-retirement organization sponsored by the city. This northern Colorado city is an outdoors-oriented community with the nearby Rocky Mountain, Lory Park and Horsetooth State Park; there are plenty of places for off-road driving, mountain biking, hiking and other outdoor activities. 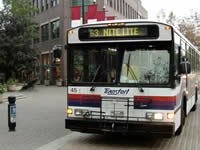 Because Fort Collins is also home to Colorado State University, it has all the liveliness and bustle of a college town. Good restaurants, brewpubs, nightlife and culture abound. There's always something going on. From the Great Stupa at Shambhala Mountain center, which has an incredible example of Buddhist architecture; to the Larimer County Fairgrounds and Events Complex, which has county fairs, tradeshows and a variety of events; to Lincoln Center, where you can enjoy professional theatre, dance, music and visual arts; to the Observatory Village, where you can stargaze to your heart’s delight; these are the some of the many reasons why Ft. Collins is the place to retire. The diversity and cultural experience will leave you breathless! "This is one exciting city!"